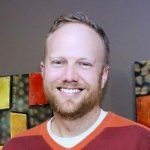 This article was originally published on the FCR blog on August 29, 2017. Click here to read the original. I’ve long been a fan and regular listener of the Focus on Customer Service Podcast hosted by Dan Gingiss and was thrilled when he published Winning at Social Customer Care. The book is a compilation of insights gained from interviews with leaders at top social customer care brands like Dell, USAA, Zappos, the Chicago Cubs, and others along with best practices he learned from leading social for multiple enterprise level organizations. 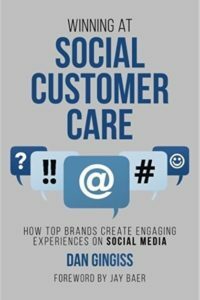 In the book, Gingiss does a great job of first defining social media customer care and making a case for its importance. He then lays out an action plan for companies large and small to support customers. In this article, I’ll take just a few moments to share my three favorite insights from the book before encouraging you to read it for yourself. There’s a lot to consider when supporting customers via social media and the technology or platform you use is one of the biggest considerations. Gingiss poses the question, “Why can’t I just use the native social media platforms for Customer Service?” He answers it by saying, “ You probably can, but only if you have very small volume.” There comes a point in time as social media volumes increase, and you have multiple people interacting with customers, that you need a platform to manage it well. He first breaks up the platforms into three categories which are Free Mass Subscription (Hootsuite, Tweetdeck, Buffer, and Sprout Social), All-In-One Enterprise Solutions (Adobe, Percolate, Salesforce, Spredfast, and Sprinklr), and Dedicated Customer Service Providers (Lithium, Conversocial, Brand Embassy, and Sparkcentral). Having primarily used the free mass subscription platforms myself, which do offer some collaboration ability for small teams, it helped to see where a dedicated customer service platforms can make a difference. Gingiss talks about the ability to avoid having multiple people respond to the same messages, functionality for prioritizing work, robust reporting, security precautions, and CRM integration as some of the key things to consider when selecting a platform. You’re hiring social media customer service professionals. Can you just select people from your existing customer service team? Yes and no. Gingiss notes that it’s difficult to teach great customer service skills and these are a must for the role. He goes on to talk about additional skills that need to be present to be considered a strong candidate for social customer service. Representatives must also have strong writing skills, especially given the fact that their communication isn’t just for customers to see but for the whole world. Furthermore, they need to to be able to get to the point quickly, given that Twitter has a 140 character limit. He suggests when hiring for this role to “look for related skills like journalism (especially headline writing), copy editing, advertising copy writing, or SMS marketing.” Finally, it might seem obvious but it helps to have people on the team that are already active users of social media. Sure they can be trained on the skills and technology but the background and passion is important. Going back to platforms, one of the free options won’t allow you to track many of these easily but a dedicated provider will. It was particularly interesting to read Dan Gingiss’ take on chatbots and where they’ll come into play with social. He wrote about bots that will look like an IVR asking customers to reply with a 1 for this and a 2 for that, which isn’t particularly interesting to customers. He quotes Davy Kestens, CEO and Founder of Sparkcentral saying, “I think that the whole reason a lot of consumers are using these communication channels is to talk to a human being. So you shouldn’t be doing the exact opposite with bots.” I agree that we should be very cautious in using bots with social. In conclusion, there are so many insights to be gained from this book and it’s best used as a blueprint for running a social media customer service operation. In fact, my next move is to hand my book off to some of our managers here at FCR who are running social teams. If you’ve read this book, I’d love to hear some of your top insights.